The oil and petrochemical sector account for 60% of Xinjiang's local economy, but the region is in the spotlight of the China Western Development programme. 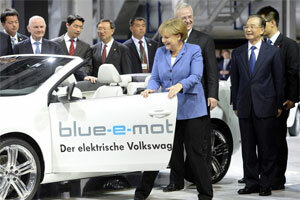 In April 2012 Chinese Premier Wen and German Chancellor Merkel met to seal Volkswagen's major investment in Urumqi: A new €170m plant making 50,000 cars a year will open in 2015. 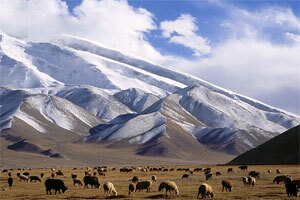 Central Asia is the largest international market for Xinjiang Uygur Autonomous Region of China. In 2010, the top five countries that trade with Xinjiang were Kazakhstan, Kyrgyzstan, Tajikistan, Uzbekistan, Mongolia. 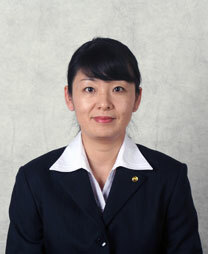 The total trade volume of these five countries amounted to US$13.8 billion. In 2010, 576,312 tourists from (non-China) Asia visited Xinjiang, of which 35,340 tourists came from Pakistan, 32,629 from Japan, 13,613 from South Korea, 6,269 from Singapore, 4,613 from Thailand, and 3,950 tourists from Malaysia. 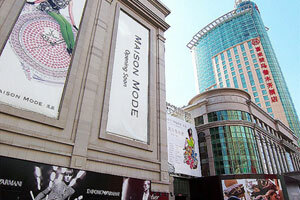 Europe was the second largest international market for Xinjiang. In 2010, the volume of trade with Europe accounted for 10.2% of the total trade of Xinjiang. The top five countries that trade with Xinjiang are Russia, Azerbaijan, Germany, Finland and Italy. 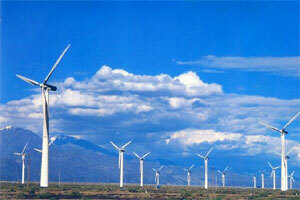 The total trade of these five countries amounted to US$1.44 billion. In 2010, 365,854 tourists from Europe visited Xinjiang, of which 296,076 came from Russia, 18,289 from the United Kingdom, 10,818 from France, 4,657 from Germany, 6,505 from Switzerland and 5,599 from Italy. 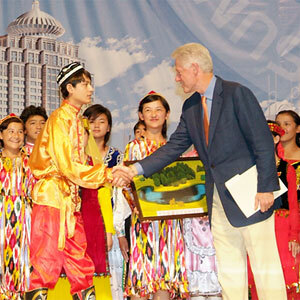 In 2010 29,603 tourists from America visited Xinjiang. 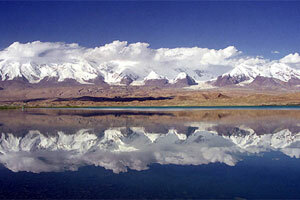 In 2010 7,875 tourists from Australia visited Xinjiang. Eco-heaven: with its vast spaces, the Xinjiang region has attracted significant investment in green technologies; rapid development still leaves vast untapped natural beauty – such as Muztagh Tower Peak. 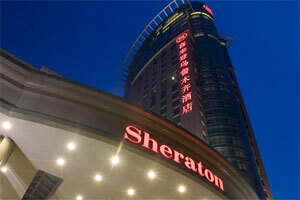 Urumqi: Urumqi is the capital of Xinjiang Uygur Autonomous Region of China and is the most vibrant city in Central Asia. Urumqi also acts as the west bridgehead in the new Eurasian Continental Bridge section of China, and therefore its status and role are becoming more and more important in the economic development in west China and even in Central Asia. 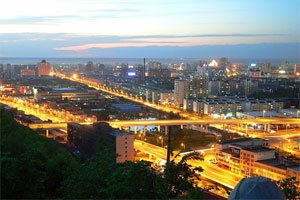 Urumqi and its surroundings are extraordinarily beautiful. 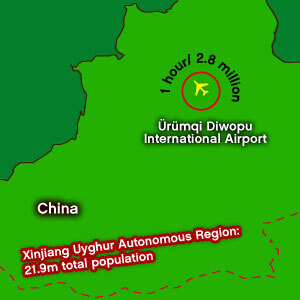 Xinjiang Uygur Autonomous Region: Xinjiang is the gateway and window to the outside world for China’s foreign trade. It has 17 national first category ports at the forefront of China’s developing markets in Central Asia, West Asia, South Asia, and Europe. Xinjiang is developing into a major transit and distribution centre and logistics channel for the coastal mainland provinces developing markets in Central Asia, West Asia, South Asia, and Europe. 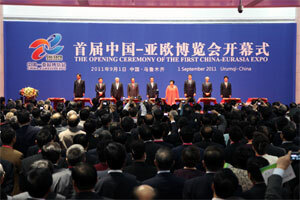 Xinjiang is building an export processing base for Central Asia, West Asia, and South Asia. Xinjiang is the centre of the ‘economic circle’ – the manufacturing, international business, and trade centre for Central and West Asia. 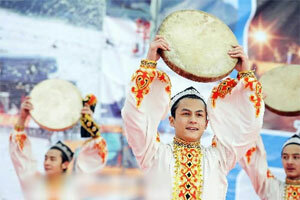 Xinjiang Province expects to see tourist arrivals grow 20% in 2012. Substantial investment in star-rated infrastructure will add toursim to a booming industrial, trade, and oil-based economy. 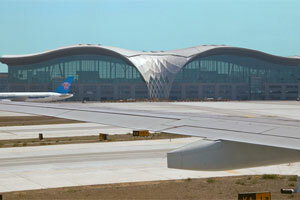 Free landing charges at Urumqi International Airport in the first half-year of operation. 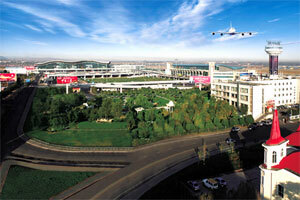 50% discount on landing charges at Urumqi International Airport in the second half-year. All the carriers which operate new international routes from Europe, Japan, South Korea, or Southeast Asia to Urumqi with flights exceeding five hours will enjoy the following rates. Any newly-added flights on these routes will enjoy a discount of 20% on landing charges for six months. 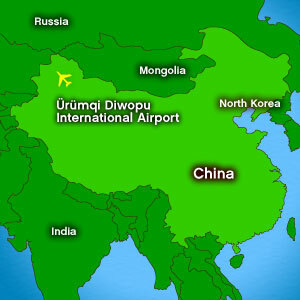 Urumqi Airport seeks routes to massive markets throughout Asia, Europe and North America. Xinjiang's is a massive industrial, trade and agro-business powerhouse. Trade with neighbouring countries alone (Kazakhstan, Kyrgyzstan, Tajikistan, Uzbekistan, Mongolia) is worth US$14 billion. Evidence for the viability of potential air services is therefore substantial. 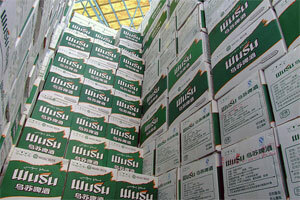 The freight possibilities from Xinjiang’s agriculture are quite remarkable. 30% of China’s cotton output is generated by Xinjiang – almost 10% of total global output! 70% of Xinjiang’s tomato products are exported to Europe. Xinjiang’s hop production also represents 70% of total output in China. A new passenger terminal, opening in 2015, will bring the airport's annual capacity up to 55 million. Urumqi city is located at the north foot of central range of Tianshan Mountain and on the southern fringe of the Junggar Basin. As well as being the geographical centre of the Asia continent, it is further away from any ocean than any other major population centre in the world. 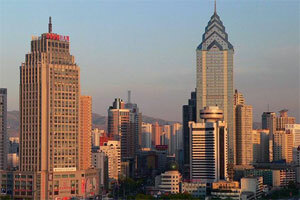 Urumqi city is the political, economic and cultural centre of the Xinjiang Uygur Autonomous Region of China. 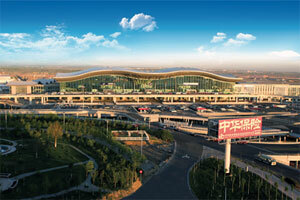 Terminals: Two terminals with a capacity of 16.5 million passengers. 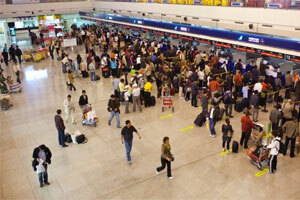 111 check-in counters, 34 airbridges, 93 aircraft parking positions.